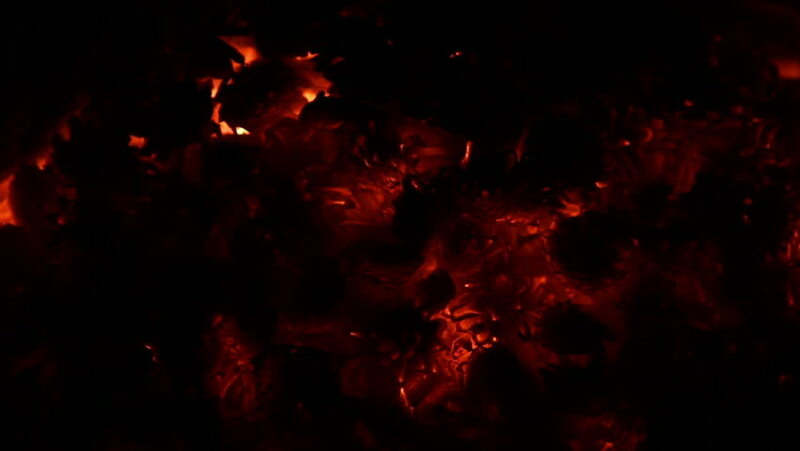 Hot coals in a bonfire at night. hd00:18Hot coals. The charcoal or the embers in the fireplace.